Friday, March 9, 2018 – And another day of FAME neuro clinic…. 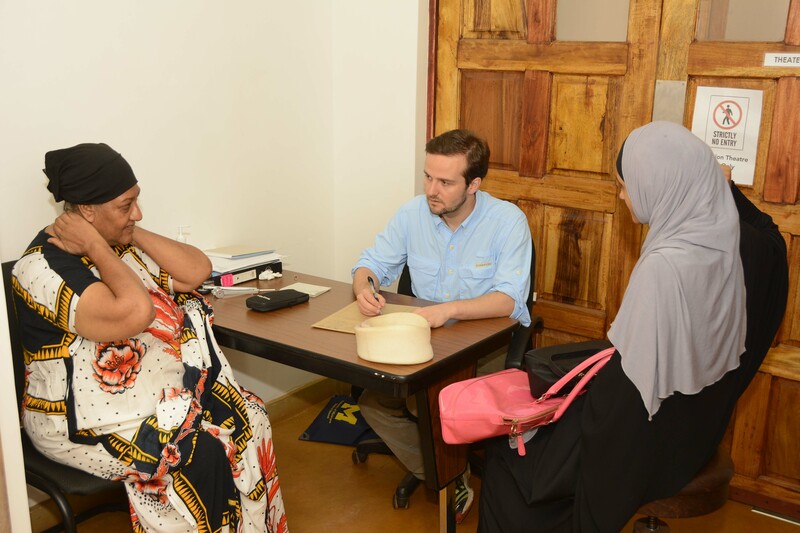 The residents now had one full day of clinic under their belts and they were already working on their Swahili for their exams and, it seemed, had much of it down. Today was my birthday and I celebrated it much as I have for the last five years, here in Africa with my second family. Ever since childhood, birthday celebrations have never been a very big thing to me for some reason, so being over in Africa was a perfect way to just avoid anyone paying any attention to the day and I was able to just go about my business. I will have to admit, though, that the event they put on for my sixtieth birthday two years ago was a pretty cool event and I’ll always be thankful to Jess, Jackie and Paulina who managed to pull that one off, I’m sure with the help of others here. It seems to have become a more common knowledge now among some of the residents so it is now more difficult for me to remain incognito and avoid any celebration. So for breakfast today, where I am usually eating granola or cornflakes (the latter is now the standard since the granola in Arusha seems to have doubled in price since our last trip and I’ll to smuggle it in on future trips apparently) for breakfast, Susan offered to make me a delicious meal of toast, a friend egg and avocado. 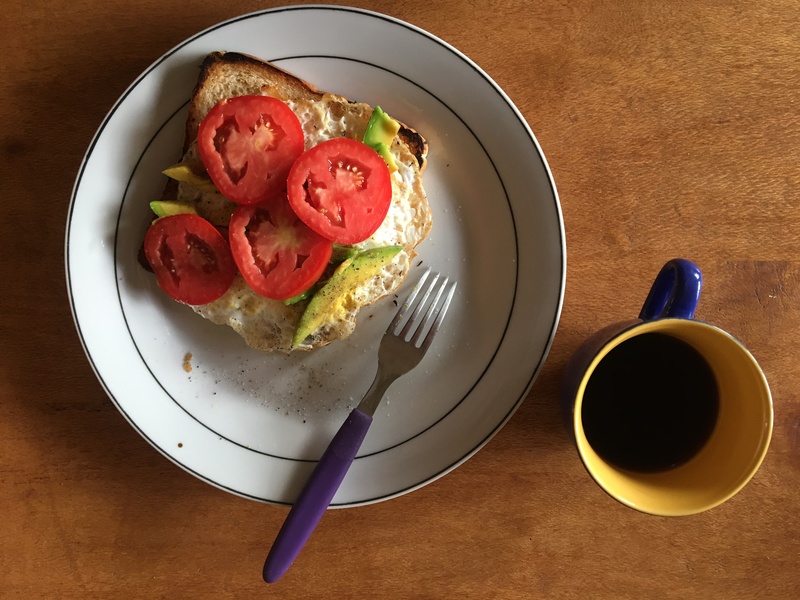 I added the tomato for some extra color and Susanna added the freshly pressed delicious Ngorongoro coffee that is the standard here, though I’ve most converted to tea these days. It was off again to morning rounds at 8am to hear about the patients in the ward and any new neurologic cases or others that might benefit from our help and expertise. The young Maasai boy was still in the makeshift ICU on the ventilator and had shown now signs of improvement and, in fact, had worsened in some respect with low blood pressures issues overnight, making any attempts to lessen his dependence on the vent successfully unrealistic. Given the appearance of his CT scan the day before and his worsening condition, we met briefly with Frank and all agreed that regardless of whether he would survive or not, he had suffered a devastating neurological injury and would never regain consciousness. Susan, with the help of Sangoma, our new receptionist who is Maasai, went in to speak with the father and uncle about removing then ventilator and endotracheal tube, in which case we were fairly certain that he wouldn’t be able to breath and would probably pass away quickly, but, of course, you never really know and have to caution families that it is difficult to be certain of that fact. Thankfully, the young boy succumbed quickly once the ventilator was removed as the burden to the family had he kept breathing would have been immense and is something that must always be considered so much more acutely here given the lack of resources and social support. It is one thing for an individual to have a disability that they must overcome, but when someone is so neurologically impaired that they cannot care for themselves in any way, you have now burdened the family and the community. Providing “life saving” efforts here may not always be what they seem and the outcome can be financially and socially catastrophic to a family and community where there are no social safety nets to provide the support that we so take for granted at home. This is one of the big lessons here that is perhaps not encountered daily, but when it is, we have to make certain that we are making decisions that are appropriately sensitive to the social structure in which we are practicing. 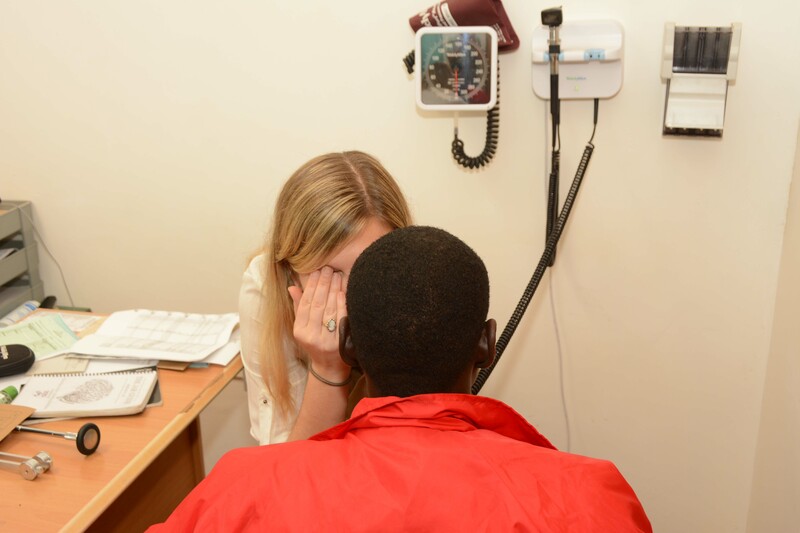 Susan not only had to deal with this young Maasai boy, but also with the little two-month-old on the ward also with meningitis and seizures. The lumbar puncture from the evening before had been clear, but this had been after several days of antibiotics and was mainly done to be certain the baby didn’t have herpes or something else we weren’t treating. He (I think I was incorrect yesterday in referring to him as a “she”) was still not very awake, but he was still having intermittent seizures despite being on a very good dose of phenobarbital, which also didn’t help with his level of consciousness, as it is very sedating. He was no worse clinically, so we decided to stay the course and continue monitoring him. Clinic was again fairly busy at the start, with lots of patients waiting to see us after rounds even though this was still one of our unadvertised days. 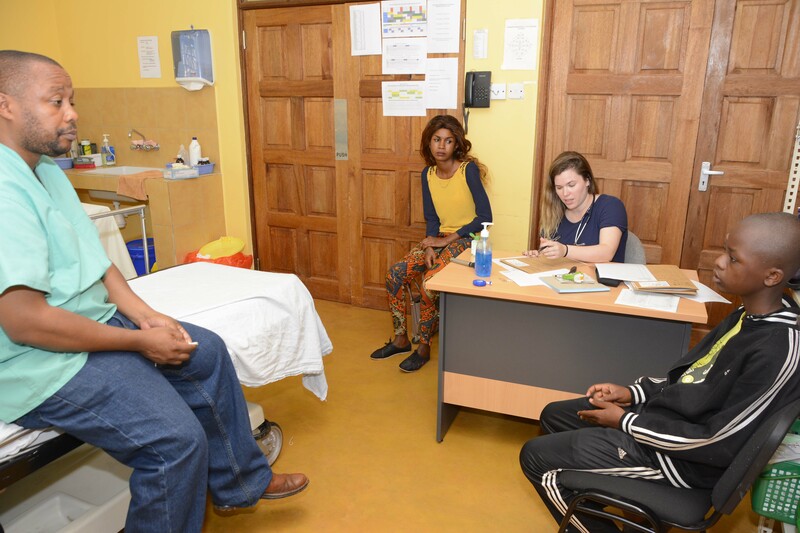 There was also a large family that had driving from Arusha with several family members that had neurological issues, one of who was in a wheelchair with a very clear neuromuscular disorder. Since this is what Susan is planning to do for a career, she was very excited to examine this family that based on what we were being told, would very likely have one of the genetic neuromuscular disorders that we all love to see as they are often those classic disorders that we are taught in medical school and, so often, never get to see or at least not frequently. 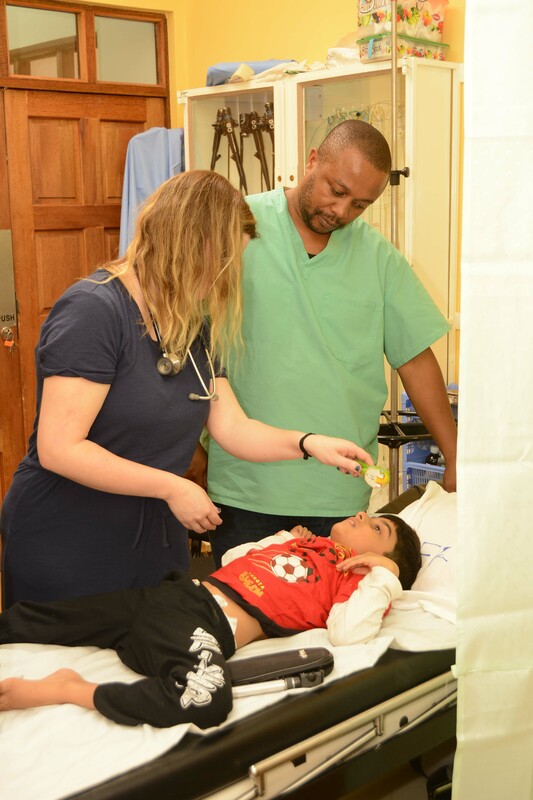 The first boy was 19-years-old and in a wheelchair with very severe and devastating deficits causing him to have contractures throughout and very little strength. The history was that he had a brother who had died of the same thing at 18 years of age, so we were fairly certain that we were dealing with Duchenne’s muscular dystrophy, the most common of this group of disorders that most of us in the US are family with through the Muscular Dystrophy Association and their telethons that have been so successful in raising money for research and support. Interesting, when my family first moved to California so many years ago in the early 1960s, my father had worked for the MDA in fundraising for several years and as a young child, it was my brother’s and my luck that we got to bring the MDA Poster Child to Disneyland for several years. I have fond memories of pushing their wheelchair through Disneyland, though on many occasions, they were pushing the chair with my brother or me in it, all while wearing their braces that enabled them to walk. Susan drew a pedigree out for this young man and it quickly became apparent to us that the other members of the family that were to see us weren’t close enough members of the family to have the same disorder, and, in fact, one them didn’t even have a neuromuscular disorder, but something entirely different. 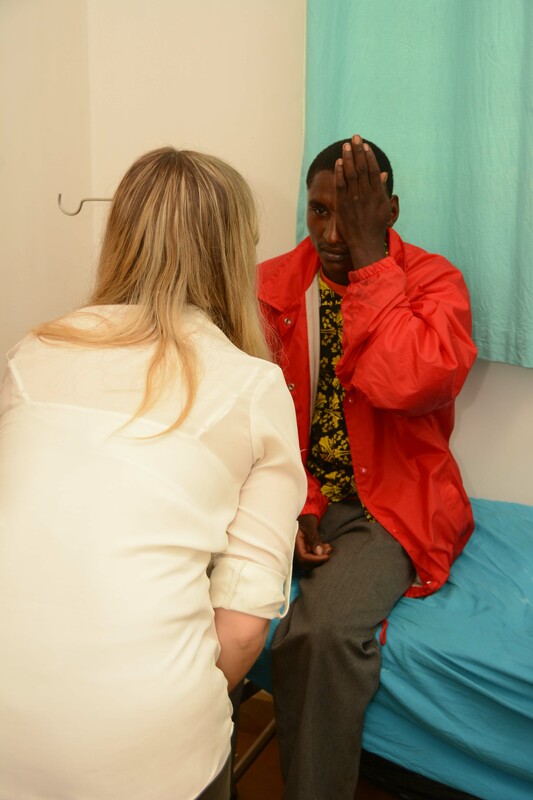 The second member of the family was a young child who had had some probable hypoxic event early in life and was severely impaired neurologically with constant movements very likely from basal ganglia involvement, visual impairment and was cognitively devastated. He had been seen by someone previously and had been scanned, but the family hadn’t brought the films with them. They had been told his brain was “shrunken” so we were pretty certain that he must have had some significant atrophy from his hypoxic event that he had suffered. There was nothing progressive about his illness and it was a monophasic event that, unfortunately, wasn’t going to improve over time. We provided the necessary instructions for exercises and other things they should do going forward to provide him care, but in reality, they had already been providing this care to him. The third patient in the family happened to be a 35-year-old gentleman who clearly had a progressive neuromuscular disorder, but it was obviously not connected to his distant relative with Duchenne’s as these patients typically die in their late teens or early 20’s. Also, his onset by history was eight years ago, meaning that he was even late for Becker’s muscular dystrophy, a milder form than Duchenne’s that has a later onset, but typically not in someone’s late 20’s. Also, his distribution of weakness involved the more proximal musculature so, though clearly he had a muscular dystrophy, it was most likely to a limb girdle dystrophy, which a very large and heterogeneous group of these disorders that can only really be distinguished with genetic testing. 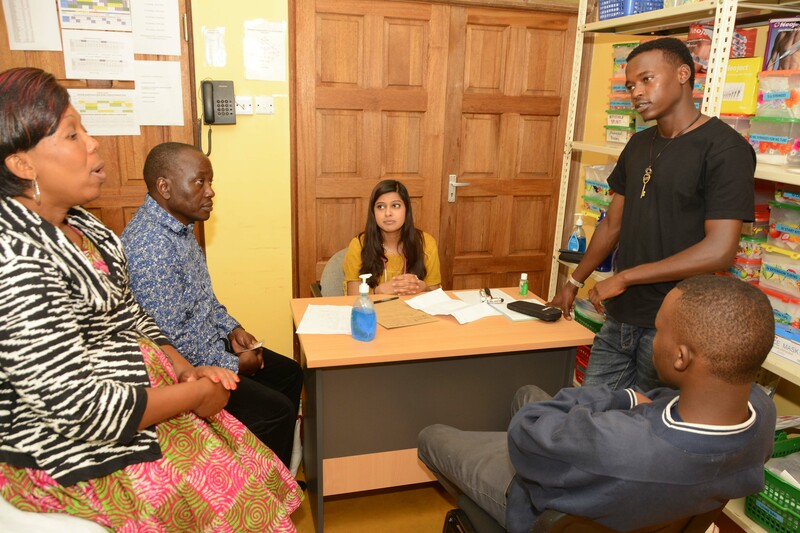 We explained to his family that if they wished to do genetic testing, it wouldn’t be possibly here, but they could certainly consider traveling to Nairobi or India, as they seemed to have the means to do so. The first patient with Duchenne’s did have an unaffected brother with children so we were able to reassure him that his children would have nothing to worry about going forward as far as possibly having the disease as it is an x-linked condition and men cannot be carriers. Evaluating these patients here is done by history and physical only as we are unable to get even the most basic of labs such as a CPK, or muscle enzymes. Genetic testing is far outside of what we could ever hope to consider for several reasons. First, the costs for these tests are still exceedingly costly even in the US and, secondly, they do not lead to treatment options or would they change the life of these patients. They would, perhaps, help with being able to advise families in regard to family planning, but doing them for the sake of knowing a diagnosis alone is not valid here. Another patient who we saw today was a very unfortunate case of a young woman, 30-years-old, with a history of mitral valve disease and who was status-post valve replacement several years ago who had been on anticoagulation with warfarin to prevent embolic events since her surgery. Three years ago, she had apparently decided not to take her warfarin in favor of prayers to prevent a stroke and was unsuccessful in her efforts as she suffered what appeared to be multiple embolic strokes several weeks ago and was admitted here at FAME. We looked at her CT scan from her admission and she had what appeared to be a hyperdense right MCA and some edema, but also had a hypodensity in the left pons that was very convincing and explained the bilateral deficits that she had on exam. She was fully aware, could converse and follow commands, but mostly just moaned on a fairly constant basis. She was perhaps more spastic on the left, but she had contractures in all four extremities unfortunately and this was not a good sign considering her stroke was only last month. She had also had several seizures consistent with her cortical deficits and had been started on carbamazepine several weeks ago. The addition of carbamazepine was a bit of a problem now that she was back on her warfarin the former medication is an enzyme inducer and will cause the protime to be less than therapeutic when added. Her protime turned out to be double what it should be, though, so we had to instruct her parents to hold her warfarin for several days and then restart it with another check in one week. It was so unfortunate that after have gone the extra distance to even get the valve replacement, a tremendously costly endeavor and one that I am sure bankrupted her family, she ultimately made the decision to choose a non-medical remedy that, in the end, failed rather miserably. I guess we’ll never know, though, as she could have had a stroke had she even remained on the warfarin, but I’d like to think that the reasons we do the things we do are that they are successful and are to benefit the patient in the end. It wasn’t an overly busy day, but busy enough and we finished with patients around 4:30pm or so, time enough to get home in time to do some work and watch the sunset once again. Dinner tonight was essentially garlic with some macaroni and cheese and a side of sliced carrots and beans. Very tasty and, thankfully, everyone shared in the dinner so there were no hard feelings for anyone having garlic breath later that evening. We had tried at the last minute to get a birthday cake made, but it was too late to ask the Lilac Café to make it (it takes a minimum of an hour to get a pizza made at the café so who knows how long a birthday cake with a last minute notice would take) and our other choice was Alex, who is an exceptionally good cook, but was recuperating from some unknown illness that he had contracted while running a 5K in Moshi and which had drained all of his energy for the week apparently. For all those Alex fans reading this blog, there are no worries, for he would soon recover completely after sleeping continuously over the weekend. After dinner, I had been talked into going out for drinks with the group and, though Alex would not be accompanying us, I contacted our friend Nish, who owns the large art gallery nearby, who was already at the Kudu lodge with friends so we all decided to head in that direction. Unfortunately, as we all loaded into the Land Cruiser, I turned the ignition key only to discover that the battery was dead (I checked the following morning and the battery was dry so needed battery fluid, something we don’t have to deal with in the US). We eventually called a cab with four of piling into the back seat of a small sedan, Susan in the front to avoid motion sickness, and we were off to celebrate. The Kudu lodge is a very fancy gated lodge on the edge of Karatu where I had never been before, but it was a very nice place for a birthday shot of tequila, courtesy of Nish, and a margarita, courtesy of the residents, while they ordered a bottle of a South African Syrah that I sampled and was actually quite good. All in all, it was a birthday that was just my speed – no hoopla or big celebration, just being with friends and relaxing. We were to be back in clinic the following morning so it was home not too late to bed with dreams of another exciting day at FAME tomorrow.